L2 Capital Completes Third Add-On Acquisition For ReQuire Holdings Within 13 Months - Berkery, Noyes & Co., LLC. 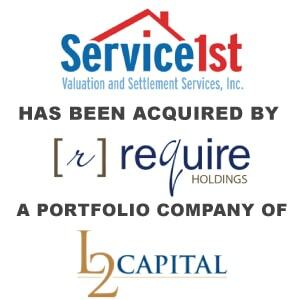 DEVON, PENNSYLVANIA – MAY 15, 2017 – L2 Capital announced today that its portfolio company, Require Holdings, LLC (“Require”) has acquired Service 1st Valuation and Settlement Services, Inc. Service 1st is a leading provider of valuation risk management services, including desk reviews, valuation risk analysis, field reviews and market data. Terms of the transaction were not disclosed. The Company will be a wholly-owned subsidiary of Require Holdings, joining their existing portfolio of companies. Service1st will remain under the leadership of current President and CEO, Mark Oliver, who will report to Require Holdings CEO, Al Will. Require Holdings CEO, Al Will, echoed Oliver’s excitement. 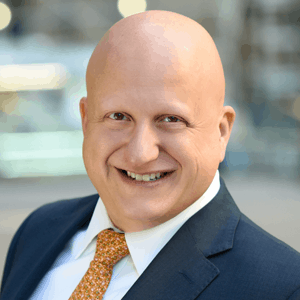 “Service 1st has proven itself to be a leader in objective valuation risk management solutions as well as an invaluable resource to clients by providing extraordinary service in a complex regulatory environment,” Will said. “Their commitment to customer satisfaction isn’t just a part of their name, but it is reflected in all that they do. We share their commitment and are pleased to have found a like-minded partner to further our growth in technology-enabled real estate transaction services,” he continued. Berkery Noyes served as exclusive strategic and financial advisor to Service 1st. Univest Bank and Trust Co. provided the debt financing for the transaction. Require Holdings, through a portfolio of subsidiaries, provides technology enabled real estate transaction services and solutions to the title and lending industries. Serving more than 1400 customers, and facilitating hundreds of thousands of transactions annually, the Require Holdings family of companies are client-focused and quality-driven.